We are at a time where we must hold ourselves accountable, as well as the people around us, if we are ever going to survive the future. We cannot just sit back and avoid taking action in life. We have a duty to love our planet and the people living on it back into the light. What does it mean to be in the light? It means we must face our darkness and love the things we do not like. We must be willing to confront our truth and to look in the mirror, no matter how painful or uncomfortable it is. It’s time to evolve from an old state of consciousness and progress into a future awareness of love and compassion for each other. Easier said than done, I know. If we are going to survive all that will take place on earth, we better open our awareness and connect to the divine in an honest, authentic way, free from all dogma. Religious judgment only keeps us in fear and separation from Source, the divine intellect that is without judgment and loves us unconditionally. It’s easy to believe that we are alone or unloved. It’s tempting to buy into anger or fear, hold a grudge or be upset at someone who hurt us in the past. Cutting someone off or telling them to drop dead is easy. If you think you’re evolved because you take those actions, you’re wrong. The truth is that the more challenging path is love. People think they hear Source, but in truth they’re listening to their ego. How do I know? When Source speaks to you, it’s never easy. In fact, it’s quite the opposite. When you drive your car, it’s you who’s driving. You know how to navigate the roads and signs and which way to go. However, when Source drives and you are in the passenger seat, it makes you feel uneasy. 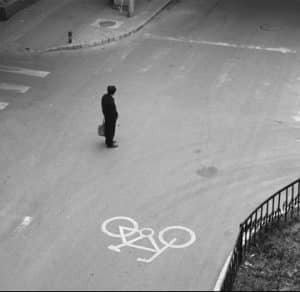 You become afraid that you won’t know the roads or the signs, that it will look completely different or unknown. Life is about taking risks. It’s about jumping off the cliff into the unknown, yet believing that you will be okay and that the journey will be an exciting adventure. All you must do is sit in the passenger seat and let Source take you where you want to go. You just have to let go and believe. There is no worrying about anything when you believe. The next time you start to worry, realize that you must have stopped believing. In order to change our lives, we must be willing to surrender. Source, angels and spirit guides will not fight your ego, pride or belief system. They wait for you to become humble and able to receive their help. Once your walls fall down, they will assist in anything you ask. The time is now, change is all around us. All you have to do is take the first step–believe that if you get out of the driver seat and into the passenger seat of life, Source will take you on the greatest journey you ever imagined. This is possible for everyone. Be accountable, love yourself and be triumphant in all that is you.